St. Martin's Paperbacks, 9781250051141, 496pp. Soon, Daniel finds more warnings in his office mail, to people that the police cannot track down, and to victims that cannot be saved. Daniel's efforts, however, have alerted the killer to his involvement… and the next threat he receives is his own. Now, Daniel—with no clue what he's supposed to have done or to what action he must confess—must somehow appease, or outwit, a seemingly unstoppable killer. 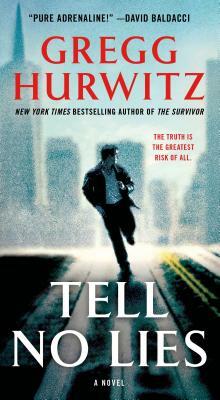 And time is running out…in Tell No Lies by Gregg Hurwitz. “Gregg Hurwitz [has] written a string of excellent thrillers, but this one could be his best.